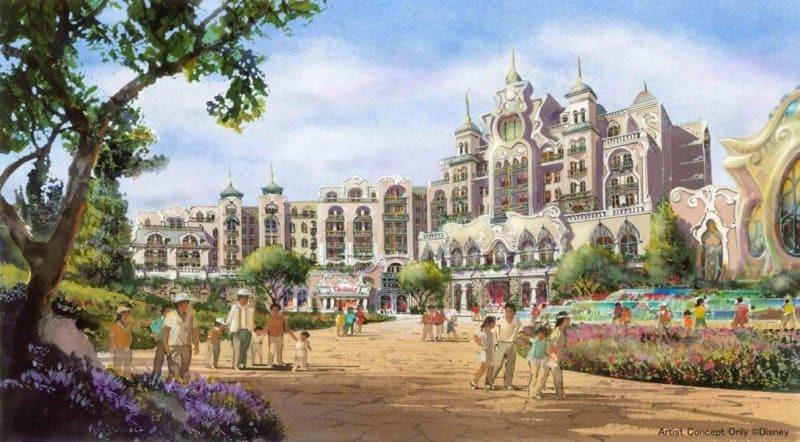 Oriental Land Co., Ltd. announced today that a new agreement has been reached with The Walt Disney Company to develop a new themed port at Tokyo DisneySea and a brand new Disney Hotel. Also, the licenses for the Disney theme parks between The Walt Disney Company and Oriental Land will be extended until 2076 (currently runs until 2046). OLC is investing about 250 billion yen into the project and is set to begin operations in the fiscal year 2022. 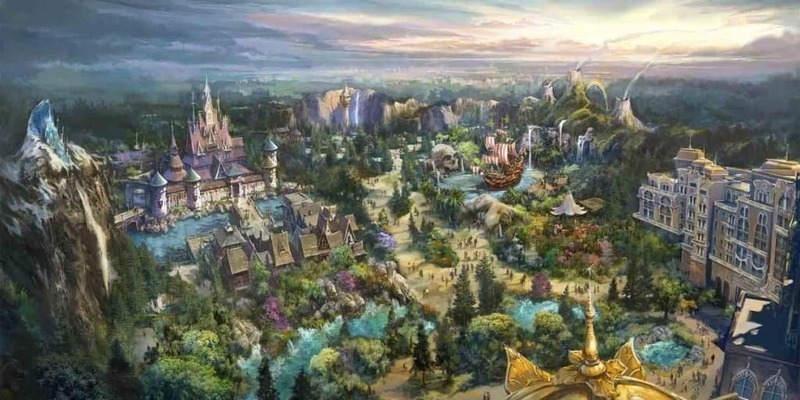 This is in addition to the expansion already happening at Tokyo Disneyland (set to open in 2020). 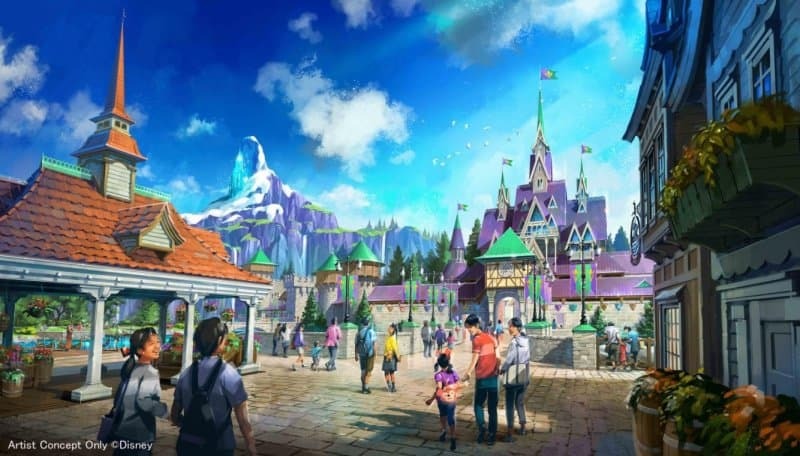 This themed port is planned to have 3 areas themed to Frozen, Tangled, and Peter Pan. Also a deluxe hotel with a one-of-a-kind luxury wing, which is said to be the most luxurious accommodations at Tokyo Disney Resort. 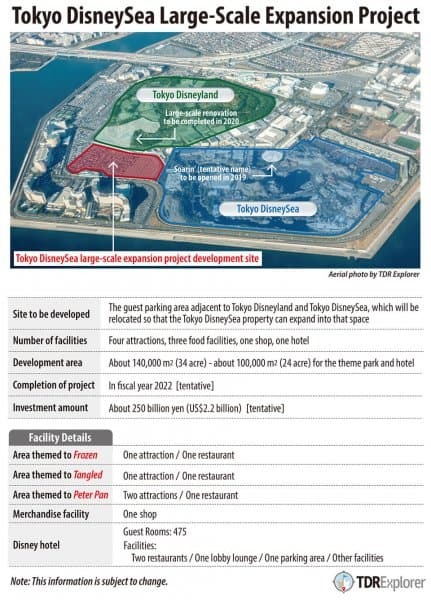 The new area is going in the current guest parking lot between Tokyo Disneyland and Tokyo DisneySea. 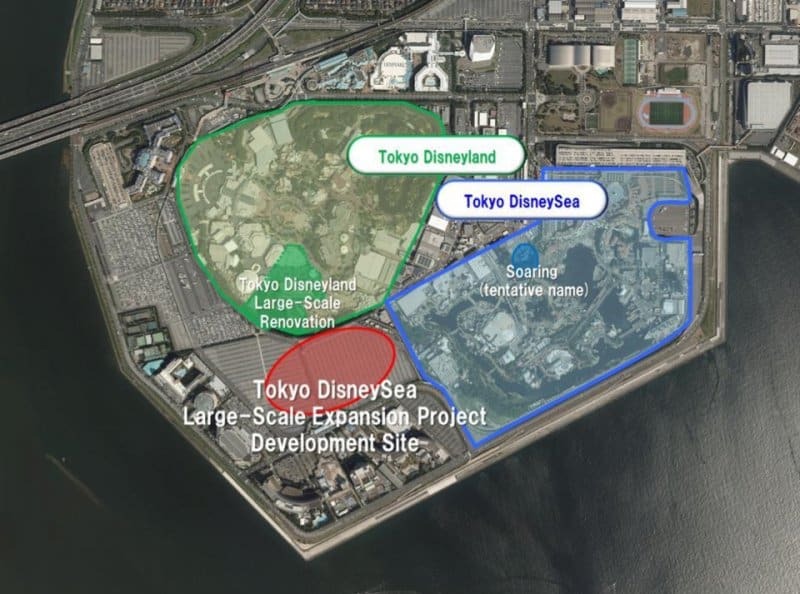 Where the rumoured Tokyo DisneySky was going to go. This announcement puts the rumour to rest. As with any project, there is no official opening date yet except fiscal 2022. OLC’s fiscal year runs April 1, 2022, to March 31, 2023. This means it can open as late as 2023. 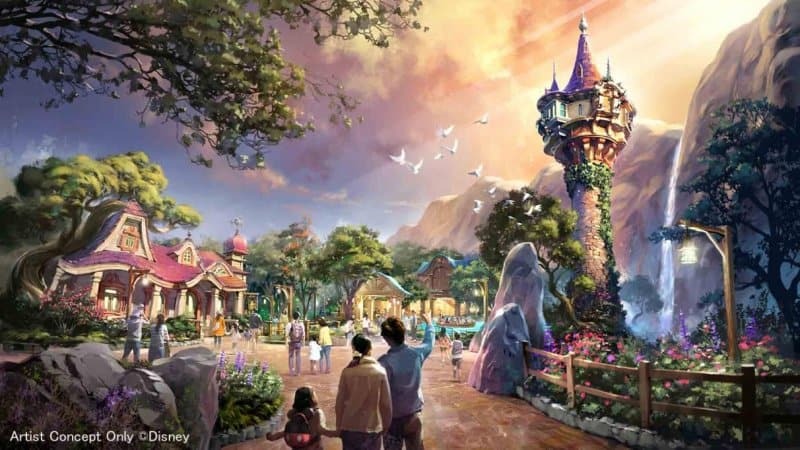 This new port consists of three areas inspired by Frozen, Tangled and Peter Pan. These areas include Arendelle, the forest and tower from Rapunzel, and Neverland. The new port will also have one store. 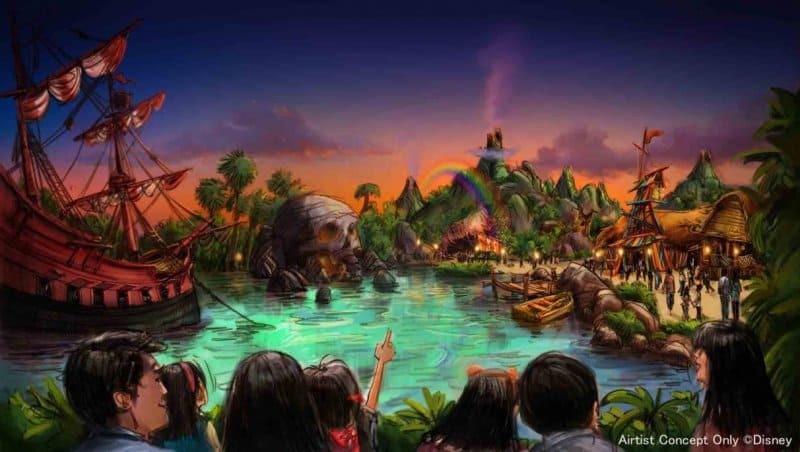 The new port will be connected to the Park through a pathway between Lost River Delta and the Arabian Coast. The luxurious rooms are said to be the finest accommodations at Tokyo Disney Resort. There’s no official name for the hotel announced yet. What do you think of the new expansion announcements? Let us know in the comments! Keep in mind that with any announcement, things are subject to change. All images and information from the Oriental Land Co., Ltd. press release.